Lake Barnett, formerly known as White County Lake, is one of the AGFC's most picturesque fishing spots. Although the surface acreage is relatively small, this narrow, serpentine lake winds for nearly three miles through forested hills. Rock bluffs and ledges tower over much of the shoreline. Greers Ferry Lake, with its 40,000 acres of water fun, has lots of room to ski and make waves. Sail boating, water skiing and scuba diving are all enjoyed at Greers Ferry. Fishermen will be interested to learn that Greers Ferry holds the world record for walleye and hybrid striped bass. RV and tent camping is available. Some of the finest mallard duck hunting or watching is available at the Henry Gray / Hurricane Lake Wildlife Refuge with over 17,000 acres available for hunting and fishing. 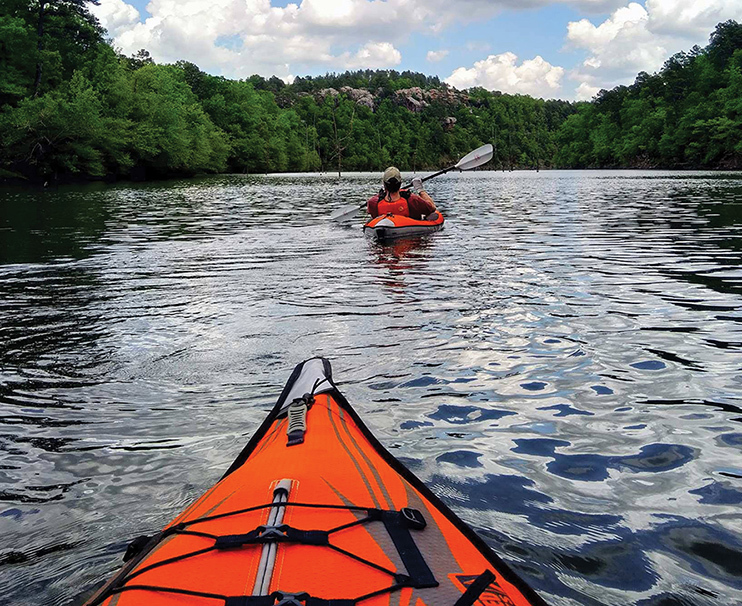 The Little Red River tailwaters below Greer's Ferry Dam and, for about 29 miles, is a world-class fishery. It is known for its brown and rainbow trout. There are several access points, the nearest being Riverside Road, Ramsey Access and Dripping Springs. The Searcy Parks and Recreation Commission is dedicated to directing and improving recreational programs, special events, facilities, and services to best serve the citizens of Searcy. The department maintains over 240 acres for public recreational use. The Carmichael Community Center offers free basketball play on weekdays from 12:00 PM until 3:00 PM and walking is available each Monday through Friday 8:00 AM until 12:00 PM. The center also hosts events throughout the year. The Searcy Sports Complex located on Queensway features 18 soccer fields, five basketball courts, football, baseball, and softball fields with picnic areas. It is also the site of the Searcy Events Center, which features a large stage with power, restrooms and a skatepark. An 18 hole Disk Golf course is nearby, but bring your own disk. Our Dog Park is located in the complex and features two fenced in areas for your happy pooch to enjoy. There are four parks including Berryhill, Riverside, Yancey and Spring Park. 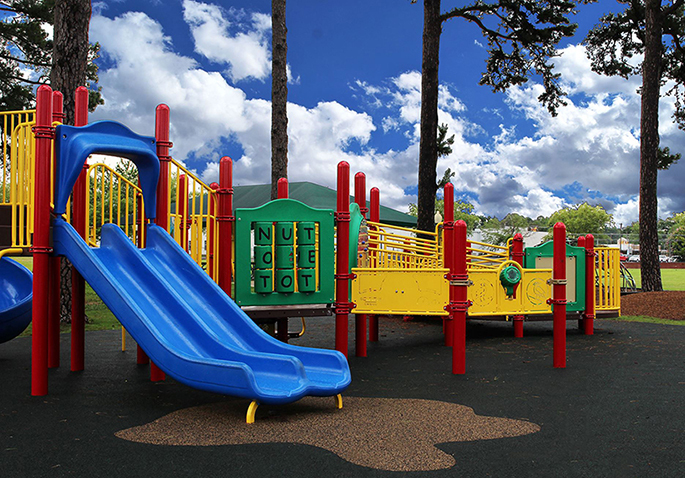 Berryhill park recently added a Sensory Park area to allow everyone to the joy of playing in our parks. It also features two pavilions, five lighted tennis courts, sand volleyball court, shuffleboard and restrooms. Riverside features 99 acres of land for your hiking pleasure, including a handicap accessible trail. A playground, two pavilions, picnic area, boat launch and river outlook makes Riverside one of our more interesting parks. Yancey Park is located on our west side and features two pavilions, five lighted tennis courts, sand volleyball court, shuffleboard and restrooms. It runs along Deener Creek. Spring Park is the city’s historic park. The well waters are responsible for the city’s initial growth. The public library and the old capped off Sulpher Springs well sit in the middle of the park. A playground, a pavilion, picnic area and walking trails make it a great lunch spot. It also is home to the seasonal Ice Rink. The city maintains 4.8 miles of paved biking and walking trails and a covered fishing pier on Searcy lake. Fishing is free, but you must have a license.